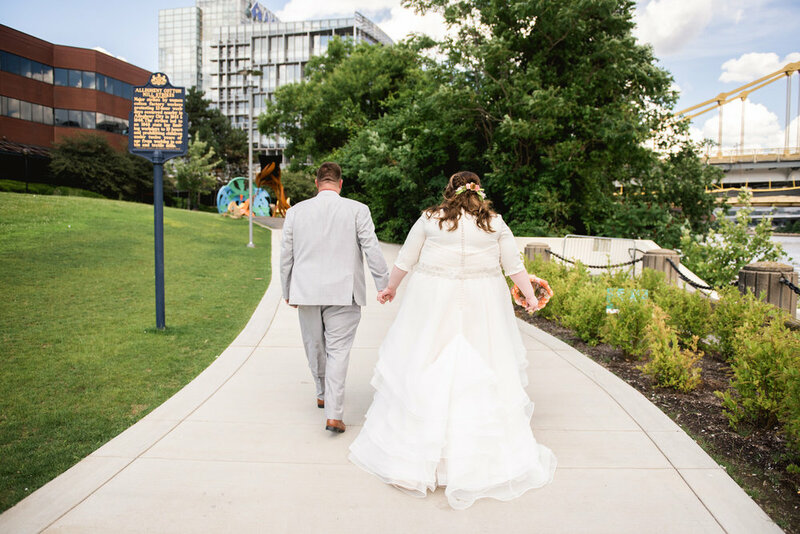 I’ve been overly excited to share Ashley & Steve’s Wedding whose ceremony and reception was held at The National Aviary here in Pittsburgh! Our day started with myself meeting Ashley in her hotel room and Stefan our second shooter meeting Steve in his hotel room at the Hilton Inn. I photographed Ashley and her bridal party getting ready, while Stefan photographed the fellas. Everyone knows you can’t get married without the perfect partner right? Did I mention Steve? Insert Steve here. What can you say about Steve? First and foremost, he is extremely caring. So caring in fact, that he totally blew us away! He’s 100% open and honest with his feelings. 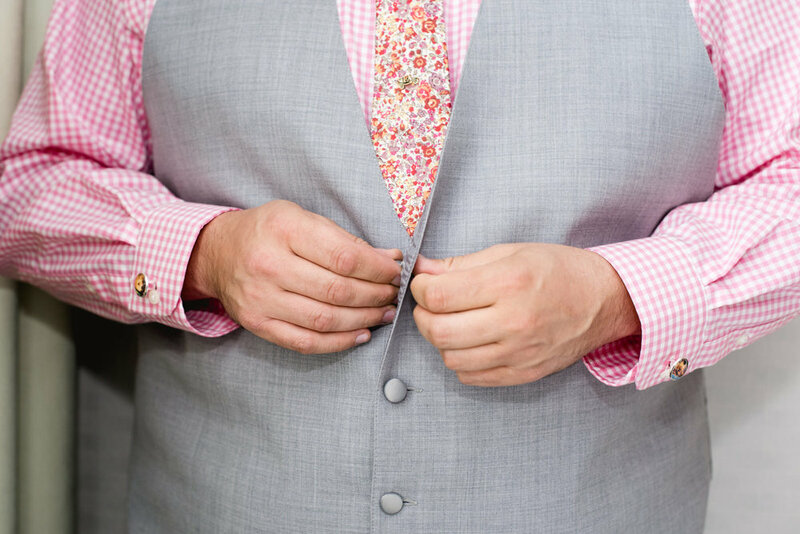 He wears his heart on his sleeve and that is one thing I’ve come to respect about him so much throughout their wedding planning process. When he shed tears, he created a ripple effect which caused everyone around him to shed tears as well! 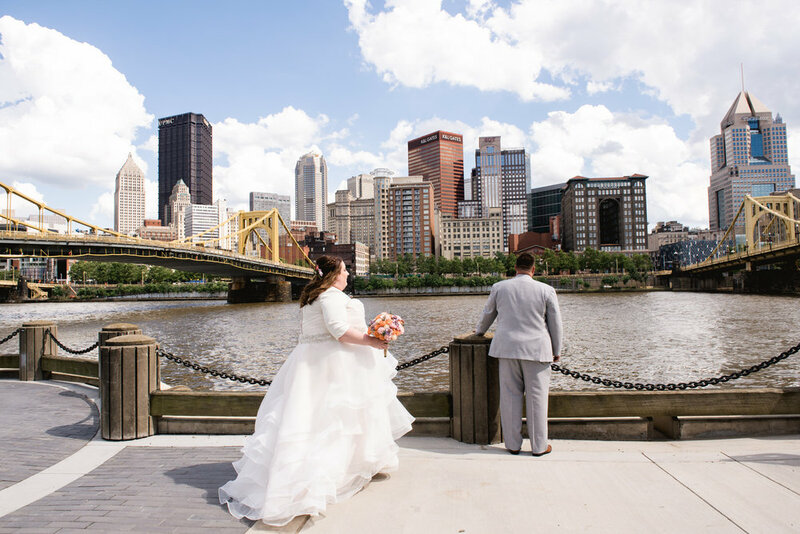 When I first met Ashley she mentioned there would be a penguin at her wedding…I immediately squealed! Guys, WHO HAS A PENGUIN AT THEIR WEDDING? How incredible! Not only did Ashley & Steve get a photo next to the Penguin named Blue, but The National Aviary was so incredibly amazing! They also let guests come up to the table and photograph with the Penguin. 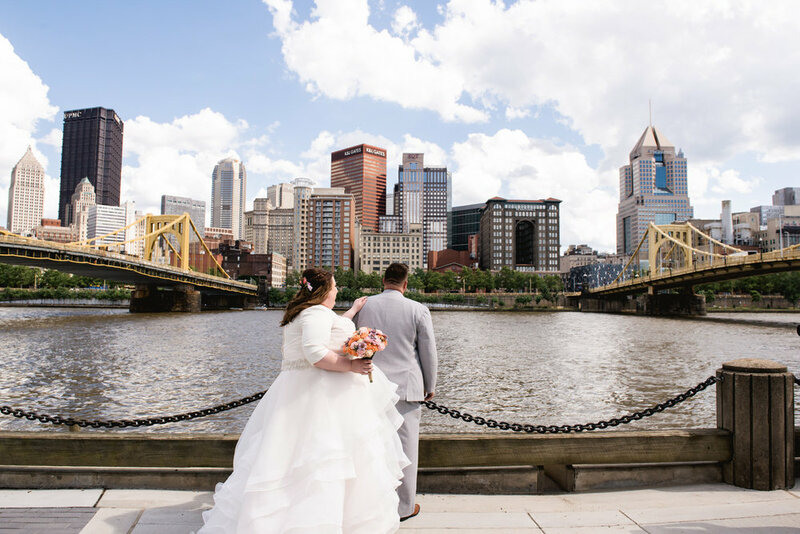 If you’re thinking about having your Wedding at the Aviary, go for it! The Venue was absolutely amazing, the staff was incredible and did I mention? ….. THE PENGUIN! 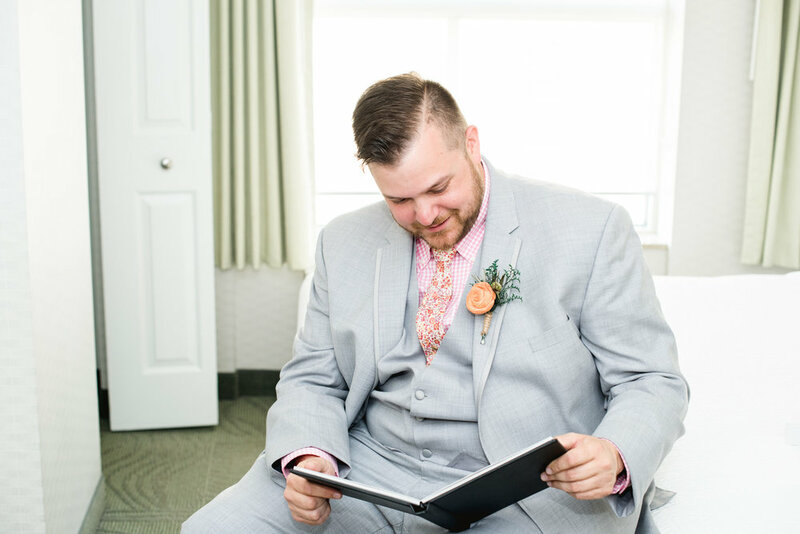 During their first look together, Steve’s immediate reaction to seeing Ashley in her Wedding dress for the first time was absolutely amazing. She left him speechless! When these two read their vows they wrote for one another, it took everything in me to hold it together. Insert watery eyed photographer hiding behind camera here! 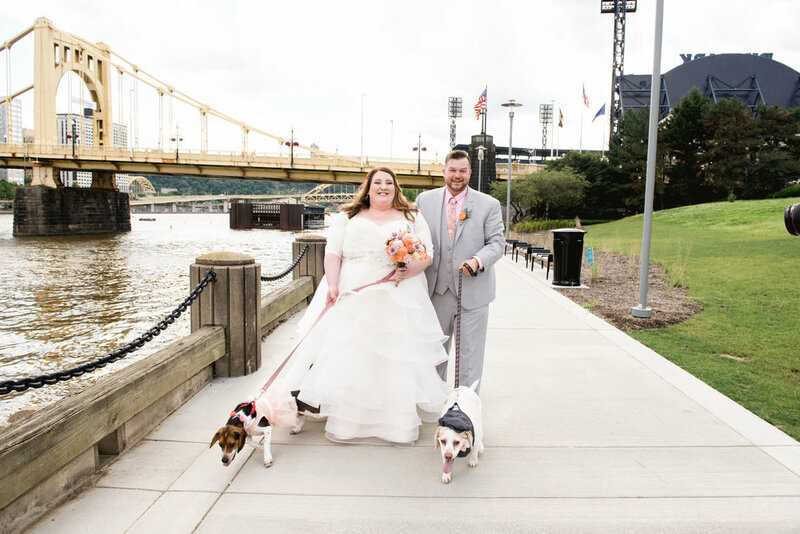 Another great moment was when Steve and his Buddies were helping him dress their two dogs Frank and Pearl, who showed up at The North Shore in Pittsburgh for some family formals! A HUGE THANK YOU to Ashley & Steve for choosing us to photograph your special day! We have had a blast with you two and getting to know you guys better throughout this process. I wish you guys nothing but easy days ahead of you. Are you a bride recently engaged? Are you interested in hearing more about our packages? Contact us HERE today! Leave us a comment below and let us know what your favorite image from their Wedding was?